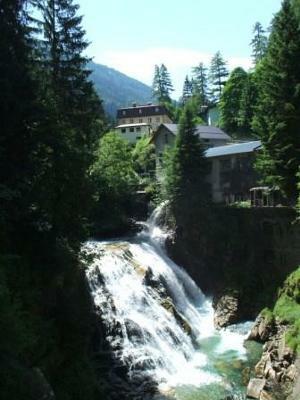 The Falls in Bad Gastein which is situated in the Hohe Tauern National Park are unusual as they are situated in the centre of the town and are framed by buildings. The town has been a spa for many years and has some beautiful Belle Époque buildings. 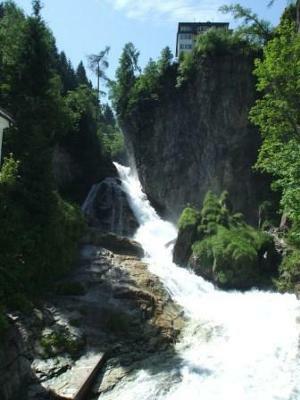 The Gasteiner Ache falls 341m in three drops. The middle fall can be easily viewed from a stone bridge in the town, you can then walk up steps and a path to go up to the upper fall where another bridge crosses the river. The spray from the falls is said to have therapeutic properties.